A teenager who took his own life while in foster care was failed by agencies as he prepared to leave the care system, a review has concluded. The boy, from Powys, killed himself three months before his 18th birthday after becoming anxious about living independently. Agencies failed to account for his special educational needs to ensure a smooth transition, the review said. Powys council apologised for failing to provide appropriate support for him. How do we talk about teen suicide? Zero suicide - is it achievable? The review comes after a damning inspection report into Powys council's children's services in October 2017, which revealed missed opportunities to safeguard children, poor risk assessment and serious performance issues with frontline services. The boy, called Child A in the report, was first taken into care at the age of two, having suffered neglect and severe physical and emotional abuse. He was fostered until the age of six then adopted. While he returned to care aged 10 when that adoption broke down, parental responsibility remained with his adoptive parents. He had an attachment disorder when he was first fostered, showed attention-deficit hyperactivity disorder behaviours at the age of nine and had special educational needs. At the time of his death he was living with foster parents but was worried about his pathway to independence and had significant concerns about what would happen once he turned 18. The review, commissioned by Mid and West Wales Regional Safeguarding Board, said social services, health services, schools and other agencies failed to take into account his level of emotional resilience and troubled background, and did not sufficiently consider his feelings about leaving care. It said he had a good relationship with his reviewing officer, therapist and had supportive foster carers, but he consistently told all professionals he was scared about living independently. The review also found his adoptive parents were "highly anxious to see their son receive the support they perceived he needed" which created a "fractious relationship" with professionals. It called for staff to be more empathetic when approaching working with families perceived as challenging. The report also found there was confusion among staff about the good practice guide, When I am Ready, which allows eligible teenagers to remain in foster care beyond 18. It said this had resulted in a "missed opportunity to be creative about Child A's pathway to adulthood so as to form a plan that would allay his growing fears". The report called on professionals to "hear a child's concerns and consider creative solutions beyond traditional routes to independence" for looked-after children. In response, Powys council said: "The local authority apologies unreservedly for the way in which it failed to provide appropriate support for this young man. "It accepts in full the findings in the report, which is being used to improve the quality of the services available to children and young people who are or have been looked after." 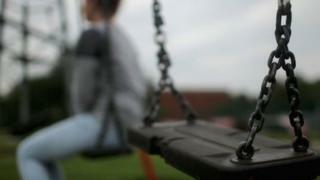 The safeguarding board said it would support the council's work towards achieving the report recommendations. Meanwhile, the Welsh Government has announced a new improvement and assurance board, replacing the current independent social services improvement board and extending its remit into the corporate sphere. This would be made up of council leaders and members from the previous board. Speaking in the Senedd, Children and Social Care Minister Huw Irranca-Davies said the announcement showed a "higher level of engagement" by the Welsh Government with Powys. "Our support and encouragement is firmly there", he said. However, he stressed that "the voice of the child is key" and it needs to be listened to going forward with Powys' improvement plans and implemented at every level on the ground.